WOW! 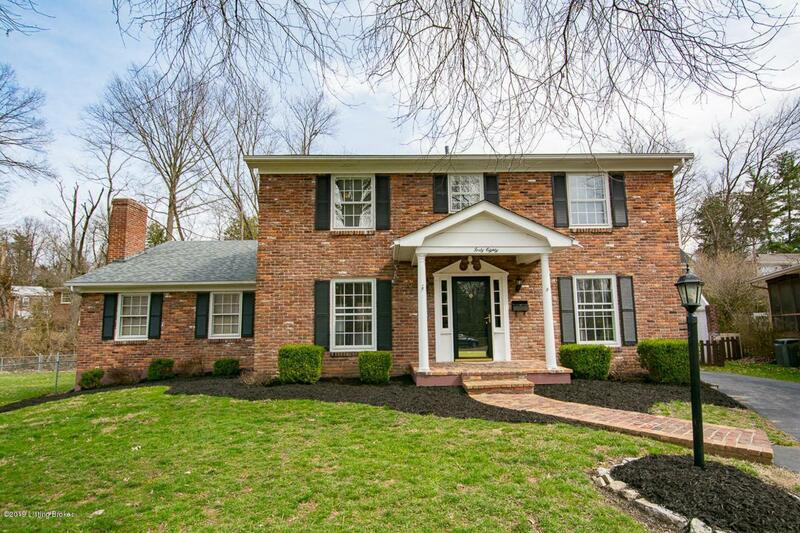 Come fall in love with this beautiful St. Matthews home! Offering 4 Bedrooms, 2 Full Baths and 1 Half Bath this 2,650 sq. ft. house is a Must See. Welcome guests to the Foyer and into either the Formal Living Room or Dining Room areas. More space to relax or entertain in the Family Room with fireplace. The Eat-in Kitchen offers wonderful space to cook up a feast. Gorgeous hardwood flooring! An updated Half Bath completes the main floor. Make your way upstairs to the spacious Master Bedroom w/ En-suite. Three more Bedrooms and an updated Full Bath offer great living space. The partially Finished Basement has a Family Room w/ an area for a Bar, Game Room or Workout area. Located in one of the most desirable areas of Louisville & walking distance to Holy Trinity and Trinity High School.